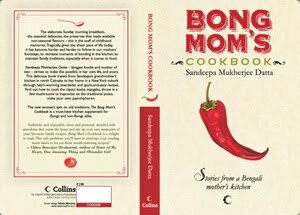 My blog Bong Mom's Cookbook is a collection of Bengali Recipes representing the Bengali Cuisine as I know it. It also has those recipes that are non-bengali but which we loved. The measurements are not always exact as I do not treat the kitchen as a lab but as a place where I follow my heart and rely on my senses and instinct. Also they were created to suit mine and my family's tastes, please adjust spices etc. according to your own taste level. I hope you are able to create a satisfying dish from these recipes and have fun while doing so.